This year TeaVivre introduces you three kinds of tea pets. You can then decorate your tea table with our tea pets, bringing more Chinese style into the brewing. TeaVivre has added varieties of tea wares on our selves, including Yixing purple clay, porcelain and glass. 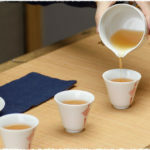 As a tea lover, you must have a set of your own favorite tea ware. 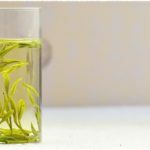 You may be also aware of different tea pets from videos or forum talking about Chinese brewing method. Tea pet is the small mascot or sculpture on the tea table, can be seasoned with tea liquid. The longer the tea pet is seasoned, the smoother and glossier it will be. There is an old Chinese saying that soft fire makes sweet malt. It also works on the season of tea pet. Newly made Yixing purple clay productions usually are not smooth. They need to be seasoned. Varying kinds of tea has different effects on the tea pet and tea pot. 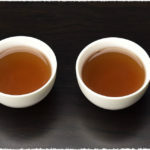 Pu-erh tea can quicken the speed of season, comparing to green tea. Generally, the season of tea pet is a long-term casual and cozy progress. Keep the habit to leave the rest tea liquid to your tea pet. You can notice its changes after a long time seasoning. 1. The liquid that is good for seasoning the pet can be the used water for warming up the cup, the liquid of rinsing the leaves, or the left-over tea liquid from each steep. 3. You can touch the tea pet with bare hands frequently when it’s dry.